Two new character posters for Alfonso Cuaron's “Gravity” are now online, featuring George Clooney's Matt Kowalsky and Sandra Bullock's Dr. Ryan Stone. Check them out below! Academy Award® winners Sandra Bullock (“The Blind Side”) and George Clooney (“Syriana”) star in the heart-pounding thriller that pulls you into the infinite and unforgiving realm of deep space. 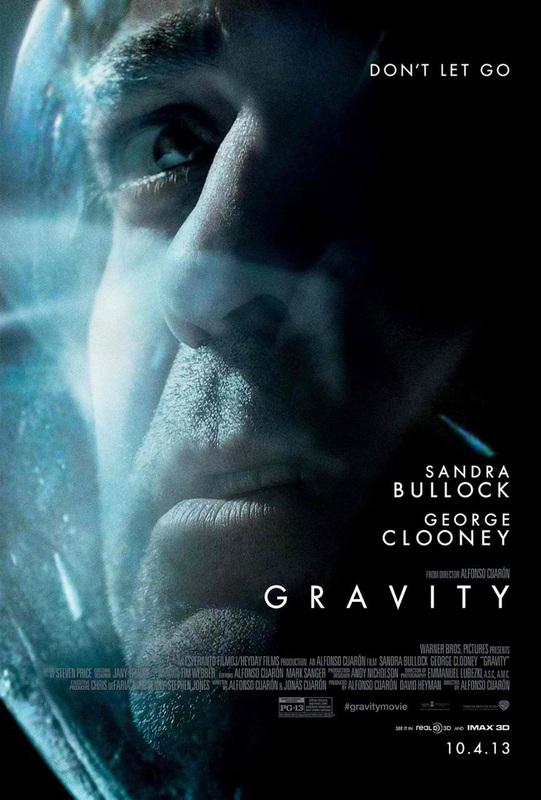 In the film, Bullock plays Dr. Ryan Stone, a brilliant medical engineer on her first shuttle mission, with veteran astronaut Matt Kowalsky (Clooney) in command of his last flight before retiring. But on a seemingly routine spacewalk, disaster strikes. The shuttle is destroyed, leaving Stone and Kowalsky completely alone—tethered to nothing but each other and spiraling out into the blackness. The deafening silence tells them they have lost any link to Earth…and any chance for rescue. As fear turns to panic, every gulp of air eats away at what little oxygen is left. But the only way home may be to go further out into the terrifying expanse of space. Opening across the Philippines in Oct. 3 in IMAX 3D, Digital 3D, 2D and regular cinemas, “Gravity” is distributed worldwide by Warner Bros. Pictures, a Warner Bros. Entertainment company.